Last night Zoë slept fairly well. 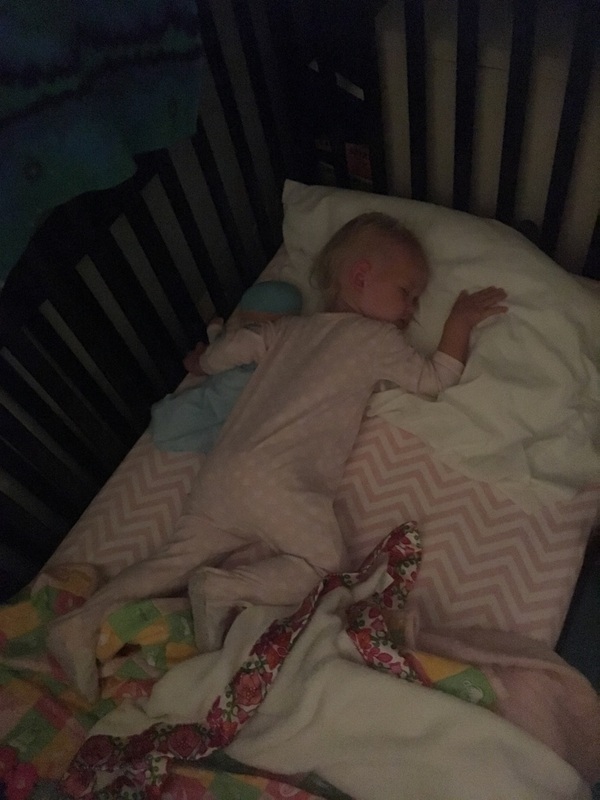 She woke up around 1:00 and I fed her (because I'm a pushover) but then she went back to sleep in her own bed, so we'll call that a success. Sharing a bed with her is, oh, so fun. For whatever reason Zoë feels she must sleep perpendicular to traffic, making a nice letter H out of us all. It's great. Why she can't shoot for III is beyond me. 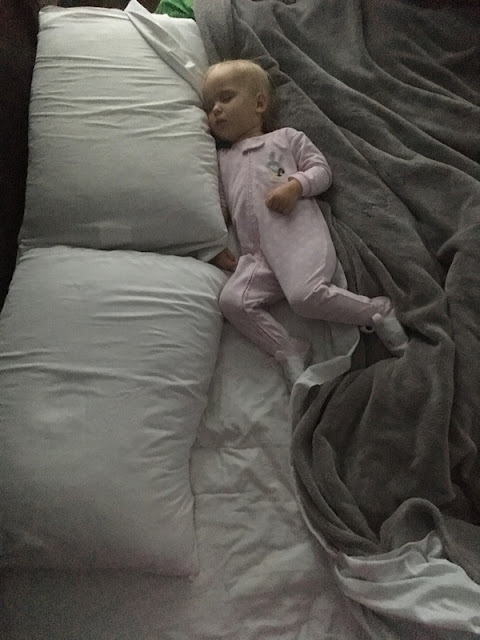 After refusing an afternoon nap for the past couple of weeks, she finally succumbed to one this afternoon and I've never seen a more beautiful sight—little cherub! This doll really does seem to help her relax. It's actually quite soothing. I thought I would find it annoying, but instead I find myself matching the breathing patterns and drifting off to sleep. She tends to like to hold it. You can kind of "feel" the heartbeat when you cuddle it, which she probably enjoys, having spent most of her previous time sleeping next to momma's heartbeat. 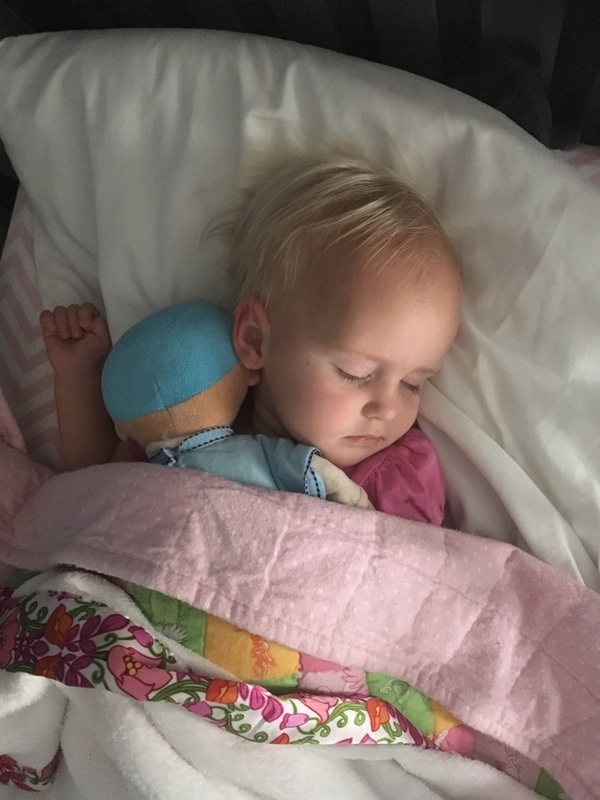 I feel like we've reached a sustainable level of sleep, so that's good, and hopefully the Lulla Doll will get us to an enjoyable level of sleep. It looks like a recipe for a kink in the neck. I guess I'll fish him out of there in a couple of hours. He got sick a while back with what I think is the same thing that caused Zoë's croup (because that means he's maybe outgrowing croup—yippee!) and suffered a bit of a potty-training relapse. He wet the bed several nights in a row because he was "just too sick/tired to get out of bed." Ugh. So I've started waking him up to use the potty in the middle of the night again. He's really been doing so great in that department so hopefully he'll get back to his regular self soon! 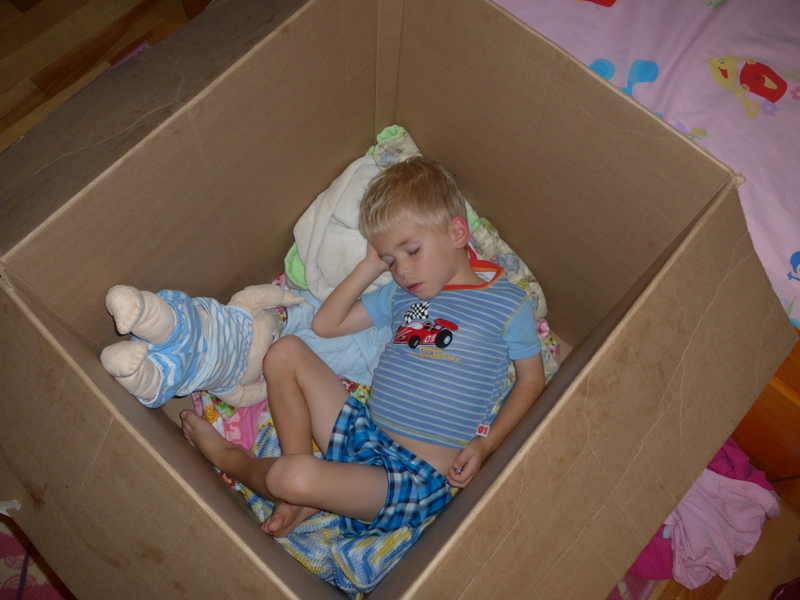 The kids have really been enjoying all these car seat boxes! They've been forts and dog houses and rocket ships. While I was making dinner they were using the boxes for ninja training. 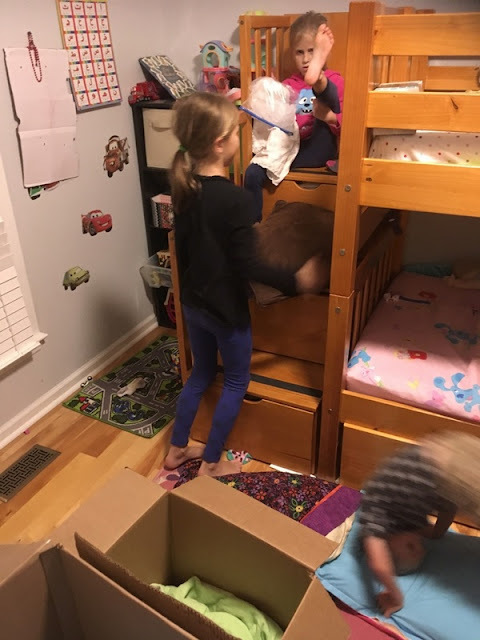 Unbeknownst to me (until I heard the crashes and screaming) one of the training modules involved leaping from the top step of the bunk bed, across the bedroom, and landing inside one of the boxes. As it turns out, this was a terrible idea. After several minutes (twenty, perhaps) of nonstop crying, Miriam seemed to regain her spirits. She has a few bruises on her foot and I haven't exactly seen her walk normally yet (lots of crawling and hopping) but I don't think it's broken. We'll see how things are in the morning, I guess. 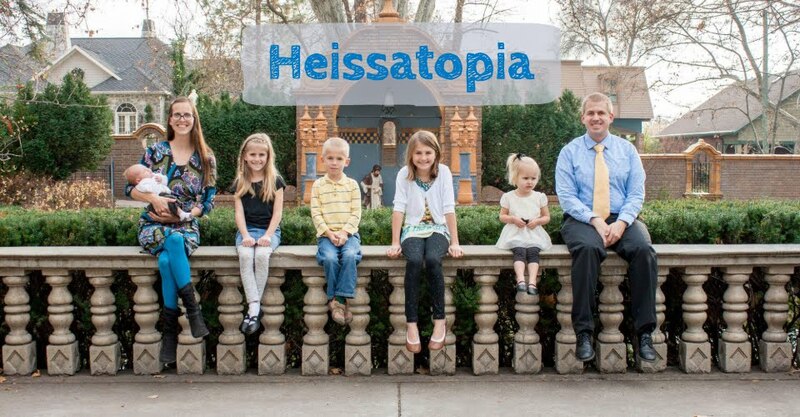 I mean...that was a terrible idea, children. Terrible. The worst.